Depending on how much you dote on your dog, you’ll read news of a Houston couples’ new line of dog beers in one of a few ways. But let’s get one detail clear right away: There is no alcohol, or hops, or brewer’s yeast in these “beers;” they’re made of chicken and pork and vegetable broth. Okay, now let’s talk about the concept of paying $5 for a drink for your dog. If you have ever hand-sewn a Halloween costume for your dog, cooked dinner for your dog, or refer to it regularly as your “fur baby,” you may have already emailed Good Boy Dog Beer demanding a shipment of its IPA Lot In The Yard cans to your front door. 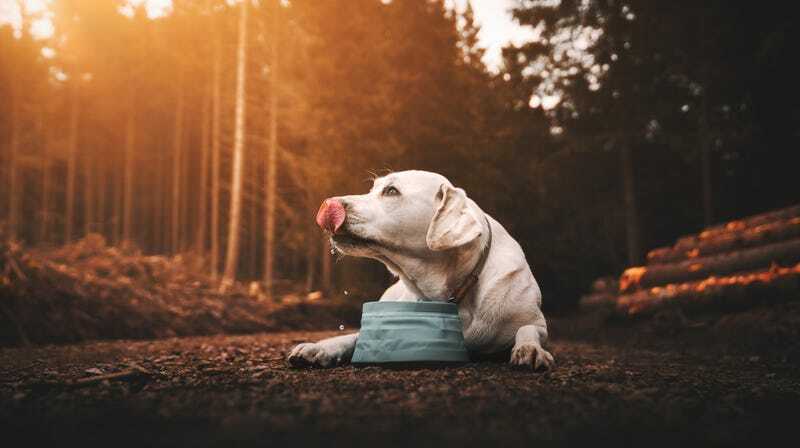 If you feed your dog standard kibble, walk it when necessary, and let it chew on the same desiccated squeak toy it’s loved for years, spending $5 on a single can of “dog beer” probably seems ridiculous. If you don’t own a dog, you’ve dismissed these dog beer people as outright hucksters. Fast forward, and the couple is now working with a canning company out of Austin to package their beers, which sell for around $5 each at 15 bars around Houston. The Longs tell the Chronicle they’ll soon look for a commercial space where they can “brew” and create a retail area—so, a dog bar.